Facebook and other major sites use then own written library but in our case we can use this library as this is open source and popular too. This library returns the coordinates and size of the faces relative to the actual dimension of the image not the CSS dimension. Therefore we need to generate different sizes of an image on different viewport sizes so that we can get the correct dimensions & coordinates of the faces in an image across various devices/viewport. We need to create a PHP script which can generate different dimensions of the same image without changing aspect ratio. 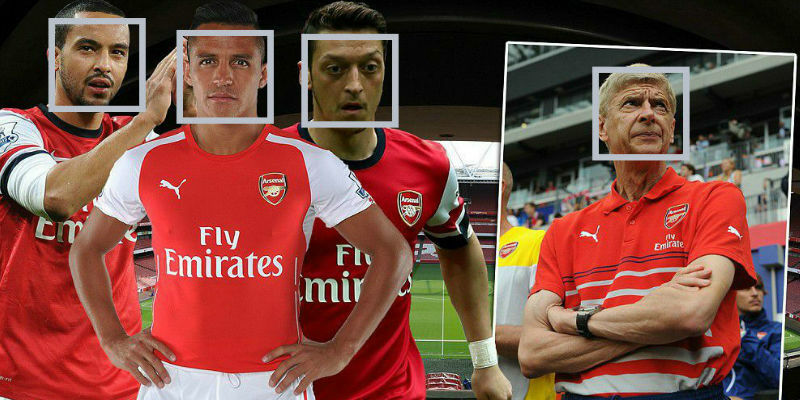 This is useful to create a responsive face detection system as we discussed above. We can achieve this using Easy Resize Image PHP library. Create a file named “image.php” and put the below code in it. Make sure you have the library extracted in the same directory as this file exists. Here the script takes a image path and width of the image container on web page. If image container width is greater than equal to the actual width of the image then we return the image without changing its dimension. Otherwise we make the width of the image same as the container width. Here is the code to find coordinates and sizes of faces in an image. To call this function you need to provide id of an <img /> tag. Make sure you call this function of an <img /> after its loaded. Otherwise you will get error. Hers is the code to create a Facebook Style Face Detection and Photo Tagging system. //Here we are finding the image container width and then loading the image accordingly. var input_id = iii.toString() + "_input"
I provide code snippet on how to detect faces, generate same image of different dimensions using PHP, calculate image container width dynamically and how to draw rectangles & input boxes on the image to provide tagging functionality.